Packed with innovative engineering including our pioneering Lean Burn Control technology. Our lightweight sports engines are small in size, but big in performance. With the launch of the new generation DF140A, DF115A and DF100A, our engineers have delivered a trio of outboards that offer great fuel economy without sacrificing on performance. This has been achieved by employing our advanced Lean Burn Fuel Control System. Suzuki engineers developed the Lean Burn Fuel Control System, which adjusts the air/fuel mixture according to operating conditions. The system significantly improves fuel efficiency across the operating range, from low speeds well up into the cruising range. Lightest and most compact outboards in the 44.1kW (60PS) and 36.8kW (50PS) high thrust classes. According to in-house investigations as of July 2013. 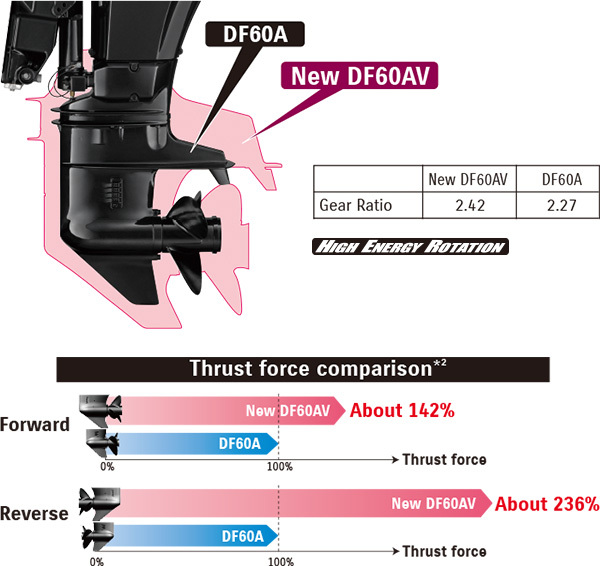 The DF60AV/50AV are high thrust versions of the standard DF60A/50A featuring Suzuki's High Energy Rotation system. These outboards are equipped with lower units based on those found on the DF140A, specially engineered with a large 2.42 gear ratio that turns a bigger 14-inch prop. The system delivers a 42% increase in forward thrust and 136% in reverse providing the propulsion you need for moving heavy boats. * This design gives you more precise control when maneuvering, superior low speed handling, better hole shots, and plenty of power to move and maneuver with a heavy load. As you would expect, being from Suzuki, both of these outboards are designed from the ground up to be compact and lightweight. And when compared to other high thrust models in their respective power classes, each takes the title for being both the lightest and most compact. 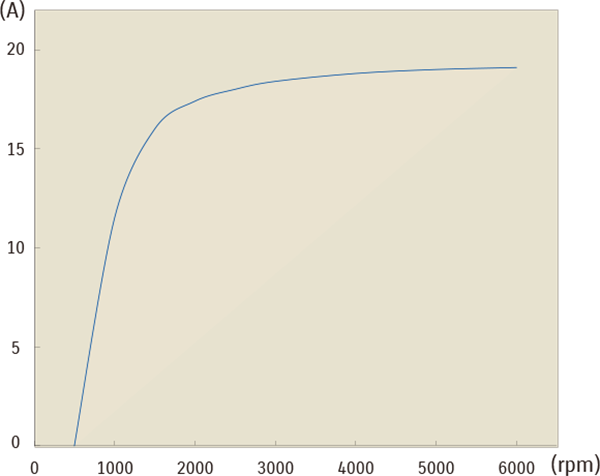 Thrust was statically measured using a stationary test boat running forward at 3,500rpm and reverse at 3,200rpm. Acceleration was measured using a test boat with a 600kg load. Based on Suzuki's DF60A, the DF60AV/50AV uses the same in-line three-cylinder engine with a 941cm3 displacement. This high-performance engine features a 12-valve DOHC powerhead with four valves per cylinder, and an air intake system optimized for maximum efficiency in the high rpm range. 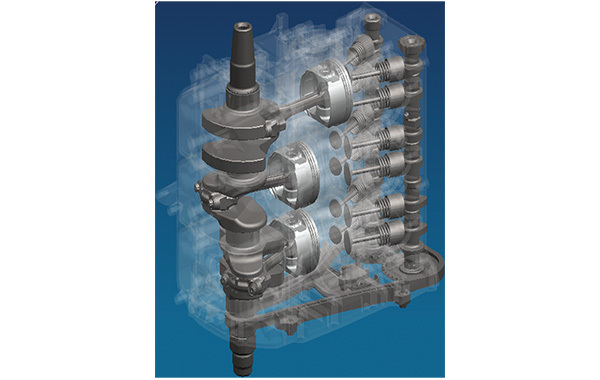 When Suzuki engineers designed this engine, they focused on improving mechanical efficiency by reducing mechanical loss. 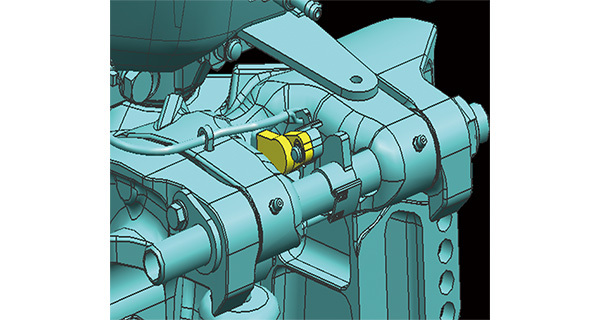 Each part and component was redesigned with this in mind, resulting in components like an oil pump that allows oil to flow through the lubrication system with less resistance, keeping moving parts better lubricated. All the reductions in mechanical loss combined add up to greater fuel economy. Suzuki's Lean Burn Control System was first introduced on the DF90A/80A/70A four-strokes as an intelligent fuel delivery system that achieves remarkable improvements in fuel consumption. By monitoring engine performance and operating conditions in real time, the system predicts fuel needs to deliver a leaner fuel mixture to the engine producing benefits from low speed operation up into the cruising range, where the engine is used a majority of the time. In-house testing shows that at medium speeds, both outboards show remarkable improvements in fuel consumption over their non-lean burn equipped predecessors. 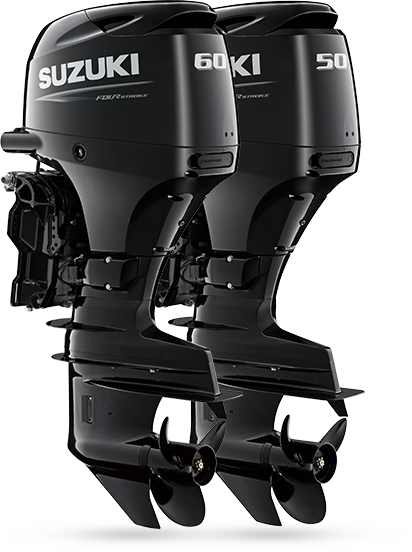 When it comes to building the lightest, most compact four-stroke outboards, Suzuki is clearly the industry leader. Following in that tradition, the DF60AV/50AV are engineered from the ground up using parts and components that are designed to be as compact and lightweight as possible while maintaining their functional integrity. This makes the DF60AV and DF50AV the lightest and most compact high thrust outboards available in their respective classes. Providing fine control over engine speed at low rpm, this easy to use system is standard on tiller handle models and available as an option on remote control versions. An independent control switch allows adjustment in increments of 50 rpm over a range from idle to 1,200 rpm. The system includes a specified tachometer and is also compatible with Suzuki's SMIS*3 digital gauges and "dual scale" analog gauges. The original DF50 was the first four-stroke to feature a timing chain and the DF60A was first in the 44.1kW (60PS) class, so it's only natural that the DF60AV/50AV are equipped with the same. The chain is oil bathed and is equipped with an automatic hydraulic tensioner that maintains proper chain adjustment for maintenance free operation. A powerful 19-amp alternator is designed to generate a minimum of 11.5 amps of power even with the engine running at a low 1,000rpm. Under normal circumstances that's enough power to keep an assortment of marine electronics operating in most situations. The DF60AV/50AV feature a tilt limit system that helps protect the boat from damage that can occur when tilting the outboard. The design incorporates both the functions of a tilt limit and trim sender, and uses a step-free, continuous type tilt limiter that allows installation of the outboard on nearly any type of boat.